What is a Green Lifestyle? Green living is a lifestyle that tries in as many ways as it can to bring into balance the conservation and preservation of the Earth's natural resources, habitats, and biodiversity with human culture and communities. Join more than 400 exhibitors and the greenest companies in Canada and feature your company, products or services to a targeted and highly engaged audience. Reach a rapidly growing audience of conscientious consumers. Positive brand association demonstrated to consumers and engaged media. Experiential and multi-platform marketing works! Own a feature attraction. Added value coverage in Green Living Online, our large eco-friendly web and social media audience, and access to Green Living Enterprises’ award winning marketing and communications expertise. The 13th Show will be our biggest and best yet! They care. 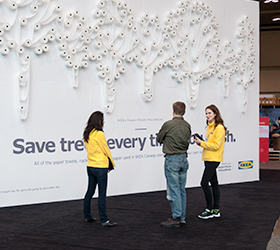 84% of visitors arrive at the show concerned about the environment. They're affluent. Well over half of all past attendees make more than $50,000 a year. They're receptive. 80% of visitors say the show helped change the image or perception they had of an exhibitor in a positive way. They intend to buy. 86% of consumers purchased something onsite. We sponsored the TD Energy Fair held at the Green Living Show, Canada’s largest environmental trade show. The TD Energy Fair provided access to advisors and promotional offers on TD energy and home improvement products, as well as lectures by industry specialists on a range of topics that included an overview of the solar and wind markets, carbon offsets and energy retrofitting your home.Through this one event, we were able to generate $3 million in potential new business and engage 30,000 conference attendees and 1,000 employees. The Green Living Show has been just great for us... We thought there is no better place to launch this campaign than at the Green Living Show. The Green Living Show is a great platform for Samsung and we have made the commitment to be the greenest electronics company by 2013, and the Show will help us accomplish that. It connects Samsung to the green message out there in a way that our competitors don’t. 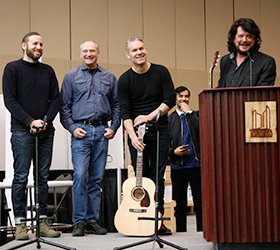 For eight years, the City of Toronto has partnered with Green Living Enterprises in the delivery of the Green Toronto Awards. 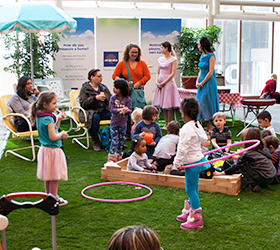 The awards' success is due to the dedication and creativity that Green Living brings. They are consistently professional, innovative and committed to excellence and, best of all, a ton of fun to work with! To customize a program to meet your objectives, contact info@greenlivingshow.ca.